Create a unique velvet quilt of birds! 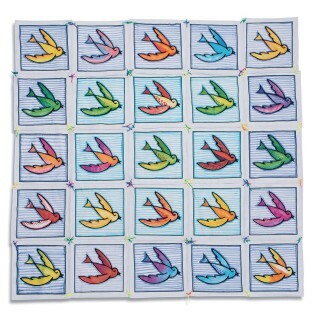 Your group works together to create a unique velvet quilt of birds! 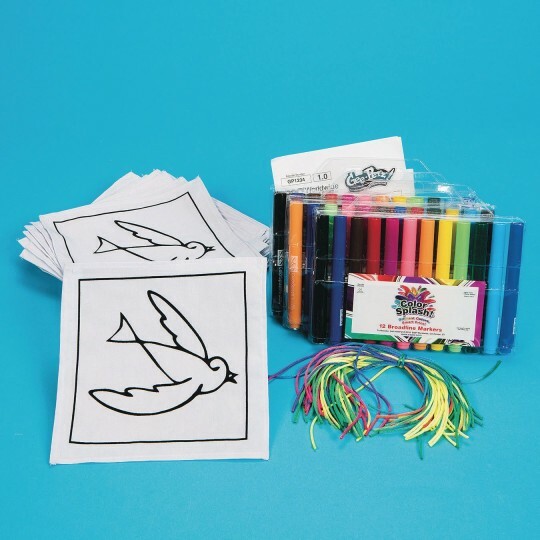 Perfect for a nature-related activity or an activity for a group of bird watchers. 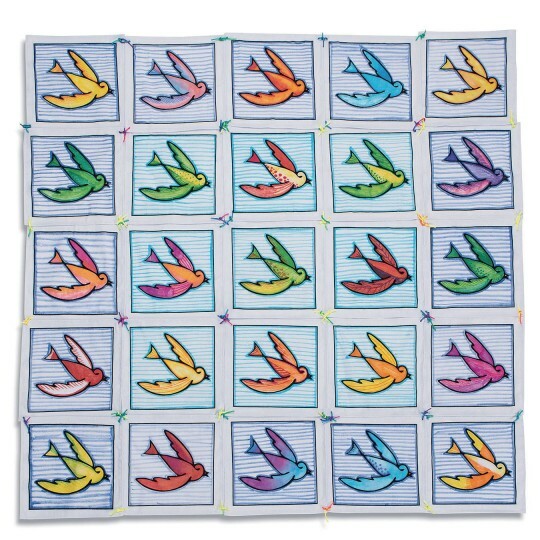 Color the twenty-five 8” fabric squares with the included markers, then string together to create a beautiful wall hanging. All supplies and an Educraft® instruction guide included.